This post is for reference. It shows a map of ‘Palestina Moderna’ dating from around 1480, based on one by Ptolemy in the second century CE. The original is in the Israel National Library. 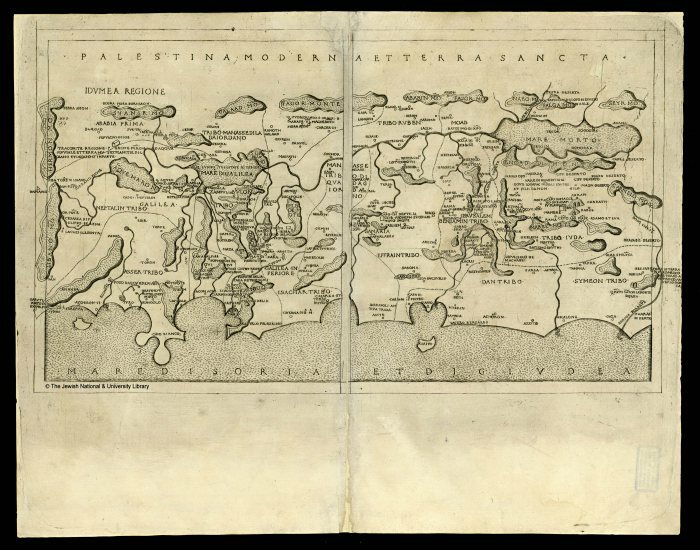 The library has now become the Israel National Library and the map is now available at http://dlib.nli.org.il/ by searching for ‘Palestina Moderna’. Note added July 2017: I can now only find the thumbnail using this search.